Asturias sits in the heart of northern “green Spain,” between the mountains of the Picos de Europa and Mar Cantabrico (the bay of Biscay). For all its lush agricultural landscapes and dramatic coastline, the region has managed to avoid being swamped by foreign tourism, and still offers a decidedly traditional slice of Spain. 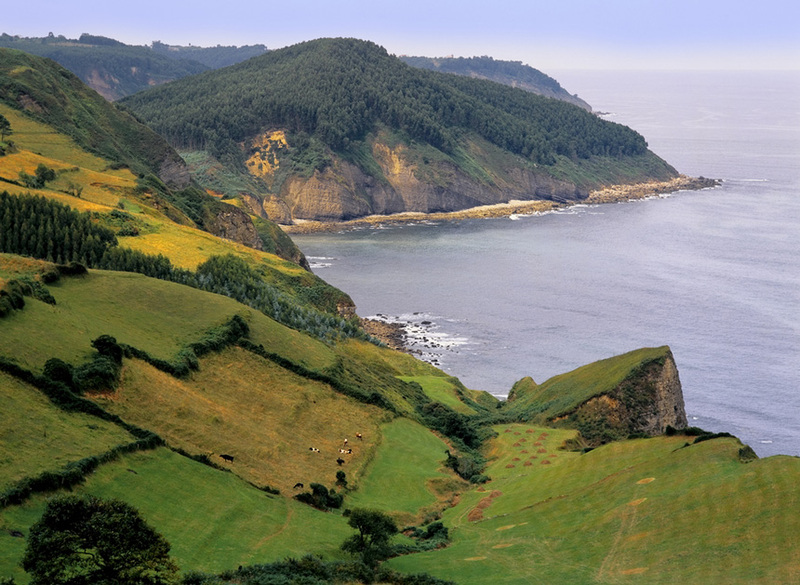 With its temperate climate – not so constantly wet as its neighbor to the west, Galicia, but not so hot and dry as much of the rest of Spain – Asturias is perfect for those who like mild temperatures and a bit of mist and greenery. The region as a whole is fairly small, with a population of just over a million inhabitants. The main cities are the inland provincial capital Oviedo (population 225,000) and the coastal center Gijón (population 275,000). Historically, Asturias shares a lot in common with its neighbor Galicia. Here too, you will find evidence of the Celtic past in the stone circles, ruins of Celtic “castros” or hill forts (seen in the ruins of Castro de Coaña), bag-pipes and myths about fairies (or xanas as the local female variety is known). 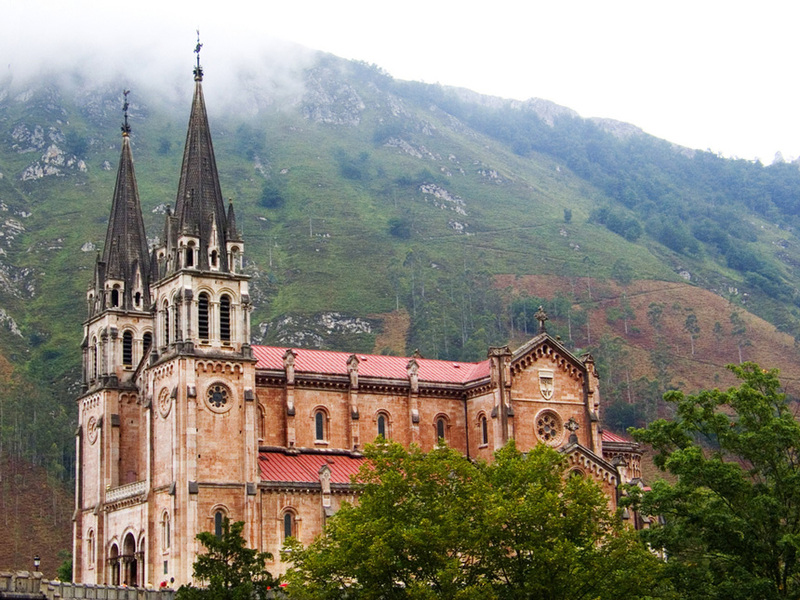 Like other parts of Spain, Asturias passed through periods of Roman and Visigothic rule, but it is unique in one aspect that Asturians take particular pride in. According to a beloved saying, that trumpets Asturias distinction as the only part of Spain never conquered by Muslims, “Asturias is Spain, and all the rest is reconquered land.” The Muslims abandoned attempts to conquer Asturias, which became a refuge for Christians and, later, the cradle of the Christian Reconquest. Pelayo, the revered first king of Asturias, repelled the Moors at the fabled Battle of Covadonga in 722 in the mountains of the Picos de Europa. The event is still celebrated today. The Asturian flag commemorates the cross that Pelayo carried (preserved in the Oviedo cathedral) adorned with the alpha and omega referred to in the bible in the Book of Revelations. As the region was incorporated into the kingdom of León and, later, that of Spain, the area’s nobility became quite important, holding much influence in the conquest of the Americas. Since the 14th century, the heir to the Spanish throne has been known as the Prince of Asturias (much as the English heir is the Prince of Wales). Eighteenth-century Asturias was a center of Enlightenment thinking in Spain, and in the 19th century the area became an industrial center of coal and iron extraction. In 1934, in the run-up to the Spanish Civil War, a rebellion in the region established a socialist republic. Soon-to-be-dictator Francisco Franco and his feared North African troops brutally suppressed the rebellion. The region was staunchly republican during the civil war and didn’t recover the official name of Asturias until after Franco’s death. 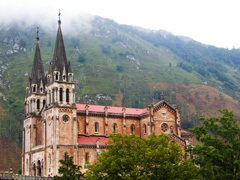 Festivals in Asturias tend to revolve around religious holidays, food festivals or both. Traditional dress, local bagpipe players and heaps of food are brought out to celebrate saints, shrines or the production of cider or local gastronomical specialties. Festivals will of course include a large helping of local cuisine, of which Asturians are proud. Chorizo (often in cider), the heavy fabada stew (of beans, chorizo, blood sausage and chunks of pork fat) and cabrales blue cheese are must-eats of Asturian fare, and not for the faint of stomach. Asturians are famous for their cider, which is unsweetened and uncarbonated. Pouring cider is a local art form in which a long stream of the cider seems magically to make it from the bottle held high above the pourer’s head into the glass held down at his side. There is, as you might imagine, a lot of spattering involved and a good sidreria (cider house) will be covered in sawdust to help absorb it all. Follow local custom by drinking all you are given quickly, before it settles, and leave a little in the glass to rinse it out for the next drinker. As you might expect, immigration into Asturias is quite low compared to the national average. Only 2.8 percent of its population consists of immigrants. You won’t find expat enclaves or English-oriented services most of the time, which is great if you’re really trying to immerse yourself in Spain and Spanish language and culture. Obviously a working knowledge of the Spanish language is therefore more important here than in regions with large populations of English speakers to help you out. While there is a local dialect, the only official language in the region is Spanish, and the debate over whether Asturian bable (as it is known) is a dialect or a language is still lively. 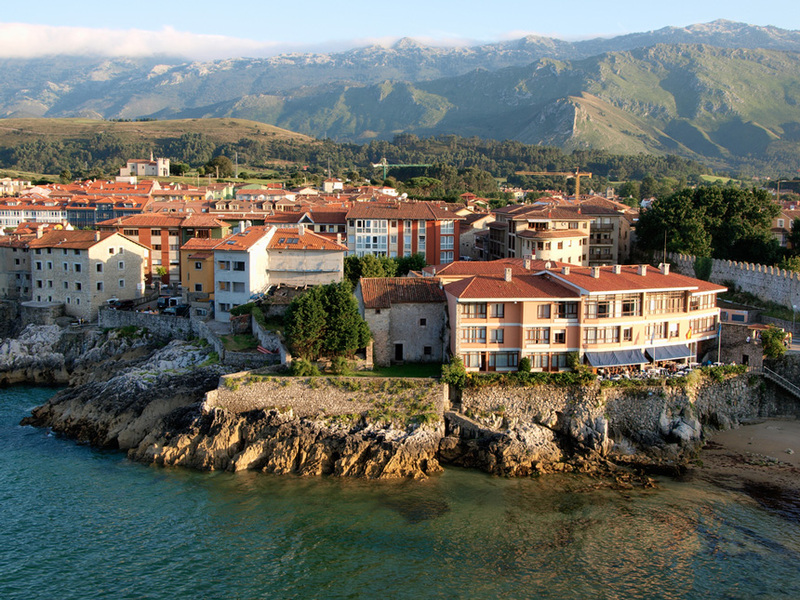 Life in Asturias is relaxed without being so slow-paced that things never seem to get done, as can be found in some of the hotter, dryer, more languid parts of Spain. People are open and friendly, and proud of their local culture and food (and are likely ply you with plenty of the latter). 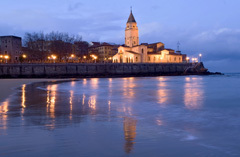 Thanks to its topographical variety, from mountains to coastline, Asturias is increasingly becoming a destination for those who like hiking, canoeing, biking and mountain climbing and other “adventure sports.” The Ruta de Xanas, a path through the area around Villanueva for example, provides spectacular countryside for hiking without being too demanding. The cost of living in Asturias is lower than in many other parts of Spain. Renting a room in Gijon or Oviedo, for example, will cost around €200 to €300 a month, while a two-bedroom flat can be found starting at between €500 and €700 a month. Agriculture, dairy farming and fishing are the traditionally dominant industries in the region. Asturias used to be an economic powerhouse due to the mining industries, which have been in decline since the 1970s and 1980s. It may not have the most bustling economy these days but cities like Oviedo and Gijon may provide enough opportunities to live on. Do your homework and get in touch with potential employers beforehand. Unless you’re going to teach English, expect to need a high level of Spanish. English-teaching opportunities will be more limited than cities like Madrid or Barcelona, so don’t expect to be able to just show up and find them as you might be able to elsewhere.